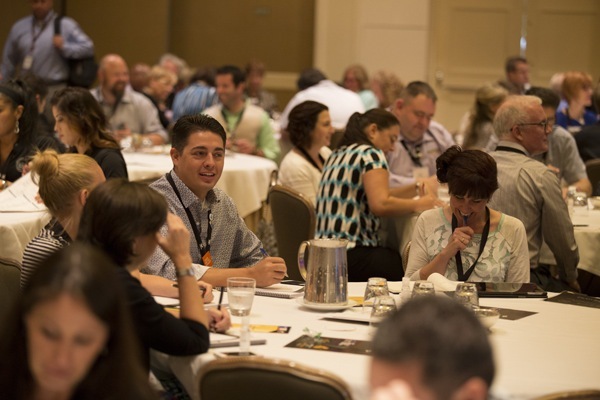 The 89th CHART conference in Napa, California is a perfect setting for the third year of our exciting, re-invented format that will immerse you in competency-based tracks of learning and development. We are breaking out of the norm to improve your abilities, increase your confidence, and impact your organization in significant new ways. We’ve kept all the most valued features from previous CHART conferences, such as the team-building service event, legendary hospitality suite, exceptional keynote speakers, participative sharing time, and unparalleled relationship building while adding the tangible educational content from our trainer competencies. Join more than 150 of the nation's top hospitality training and human resources professionals, and leave Napa as a better trainer, faster instructional designer, stronger manager, and greater executive. You will be transformed! Each year, the CHART winter conference will feature this competency-based agenda, and the CHART summer conference will keep our tried-and-true program for hospitality training leadership. Eligibility: CHART Conferences are open to individuals who are eligible for membership. Attendees must be employed by multi-unit lodging, foodservice and other hospitality operators, and have the responsibility to create, implement or oversee programs for education, training and developing human resources. VENDORS and CONSULTANTS: Email allison@chart.org for information on how you can participate in this industry event. If you need further assistance, email tara@chart.org. Room Block expires January 22, 2015. Reserve early to receive the discounted $149 rate. Register for the CHART Conference by January 16, 2015 to receive the early registration discount. Cancellations received by January 22, 2015 will receive a refund less a $100 administration fee. No refunds after January 22, 2015.